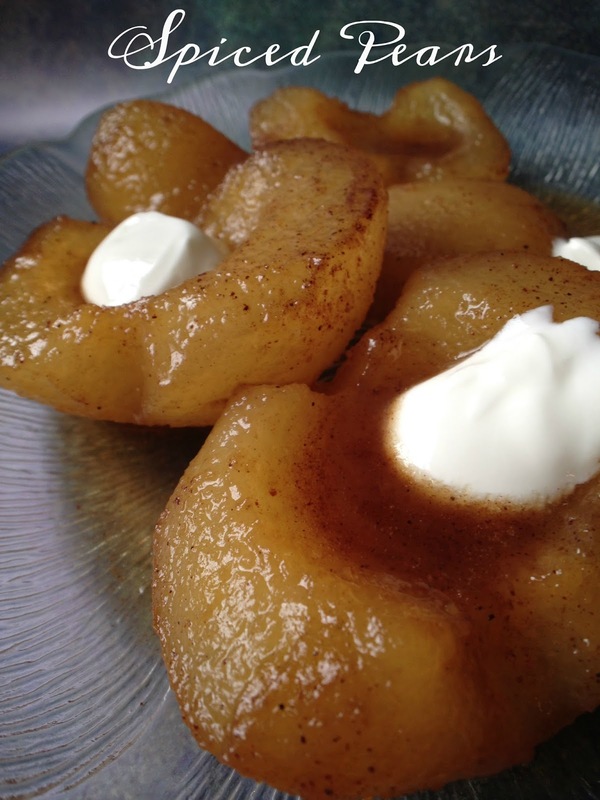 This recipe can be made with any canned fruit; peaches, plums, apricots, or pineapple. 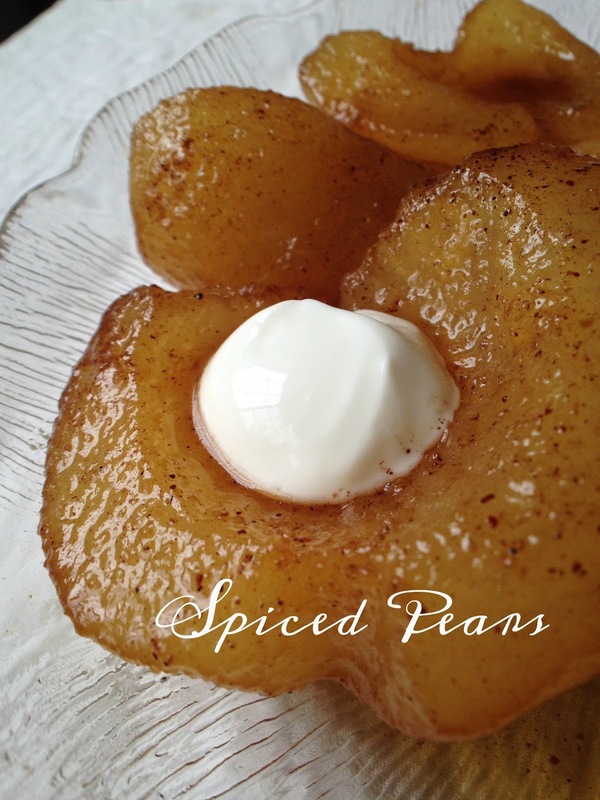 Spiced fruit can be enjoyed for breakfast, lunch or as a snack. 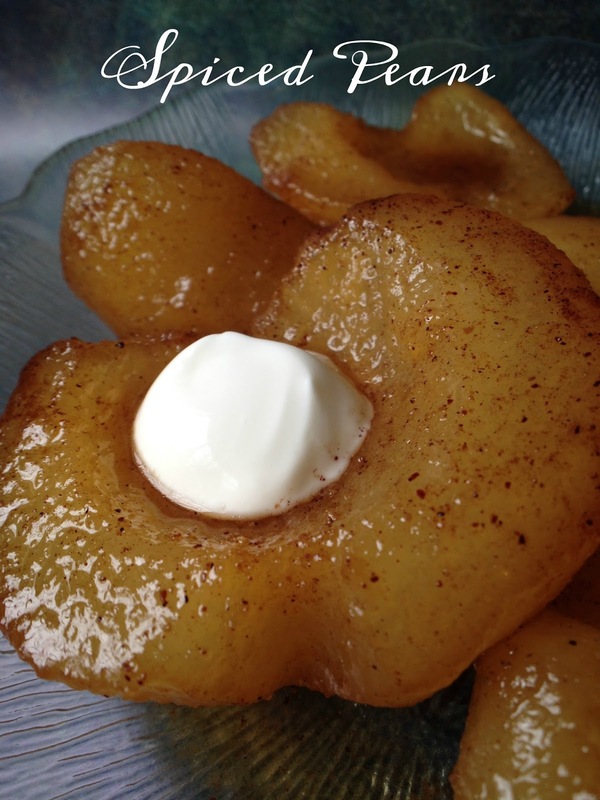 Need a quick dessert…warm spiced fruit is delicious served over ice cream, pound cake or served with a dollop of whipped cream or creme fraiche. 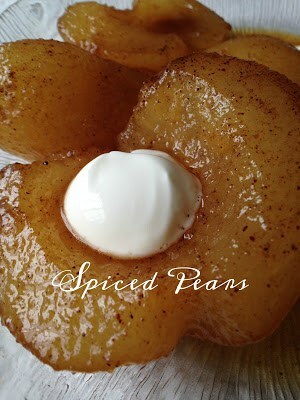 After a heavy meal, spiced fruit may be just what your looking for to serve as a dessert. What exactly is spiced fruit? It sounds like something my grandma ate, like stewed prunes or something Aggie would have eaten, like dates or figs. 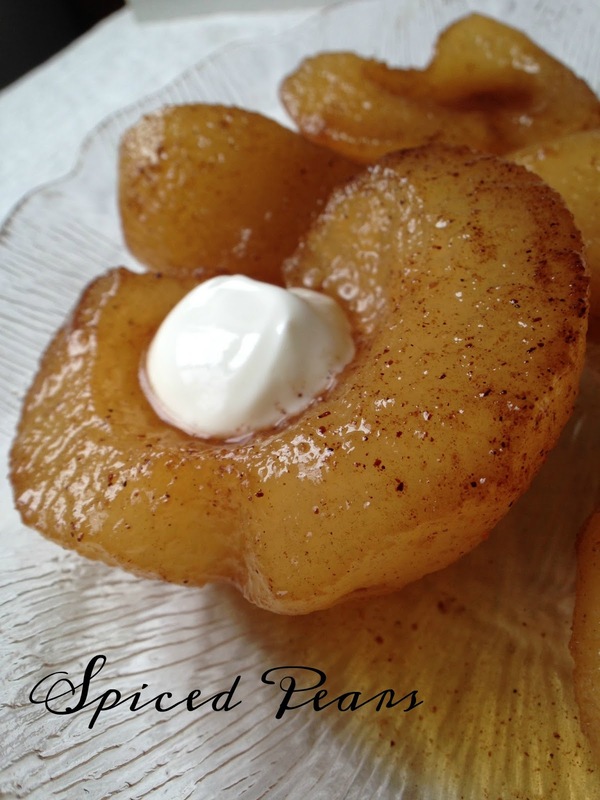 Spiced fruit is simply fruit, canned or fresh but usually canned, that has been simmered in a mixture of butter, brown sugar, nutmeg, and cinnamon. 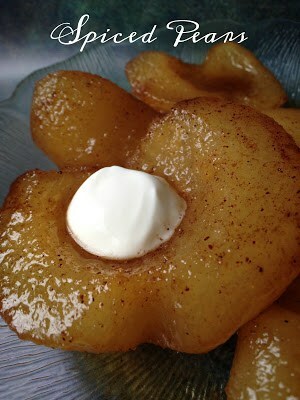 The mixture is then served as a side dish or light dessert, with or without whipped cream or creme fraiche. Drain the pears, reserving syrup. Set the pears aside. Place the syrup, brown sugar, nutmeg and cinnamon in a saucepan. Bring to a boil, reduce heat and simmer, uncovered, for 5 minutes, stirring frequently. Add the pears and simmer 5 minutes longer, until heated through.